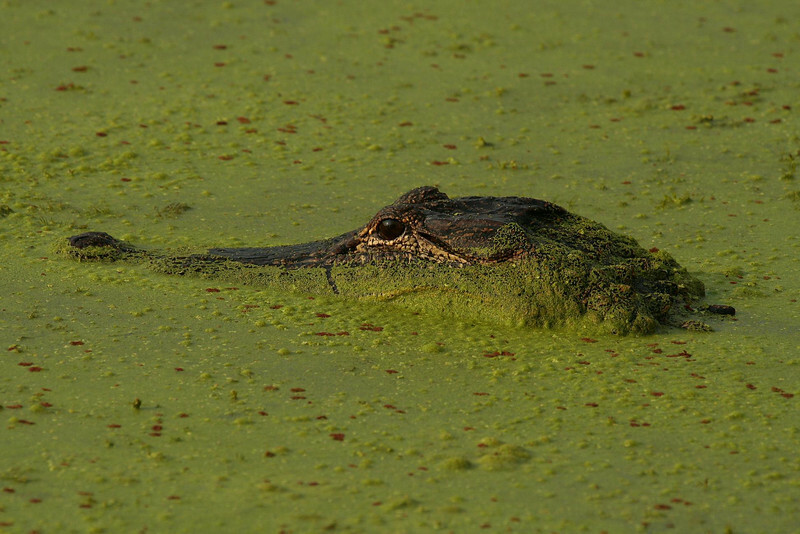 At times, from a single vantage point, groups of Alligators could be seen in Elm Lake. One would hit a fish with a heavy splash, and the other nearby gators would kick into a slow cruise and go over for a closer look. I normally don't pay the alligators much attention, but on this day they put on a memorable show in terms of behavior, and in sheer numbers.